Available for several sports , with a blank star, or in plain black to add your own design, these black and silver dog tags can be personalized to be used for a keychain, bag tag, or worn on a neck chain. The Baseball Star Dog Tag features a baseball framed by the silver star. 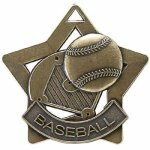 The Star Dog Tags make a great gift for members of your team or organization. 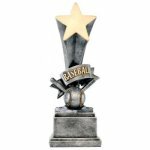 This baseball star step award is a great choice for your next awards banquet. 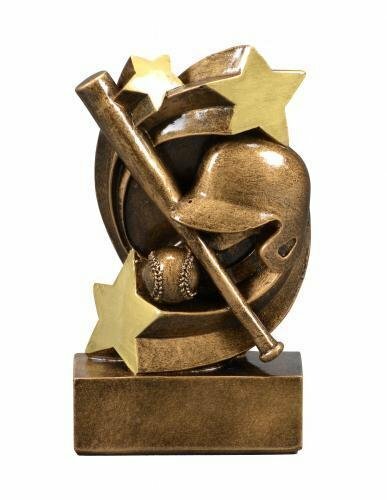 Baseball icons like a batting helmet, bat and ball are interspersed with stars that flow from the base to the top of the award to complete this unique look. The Star Step line is available in other sports and or activities. Standing 5 1/4" tall the base on these awards provide plenty of room for whatever your personalization needs may be. 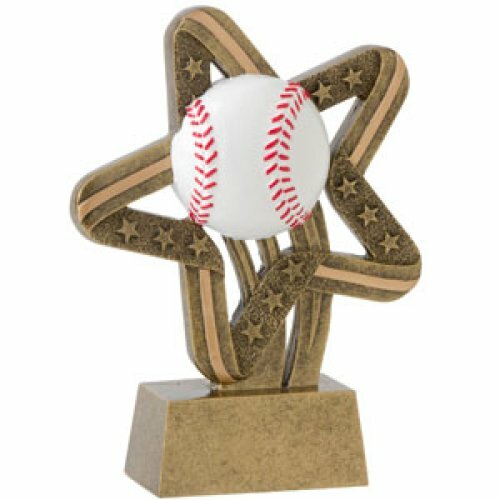 Stars swirl around a highly detailed baseball helmet, bat and ball in the center of this Baseball Star Swirl award. The speed lines of the stars creates a dynamic sense of movement to this line of awards. 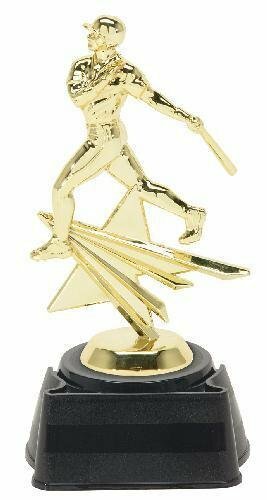 The award stands 5 1/4" tall with an antique gold finish. The base has plenty of room for whatever your personalization needs might be. 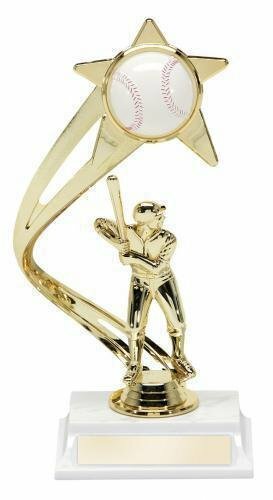 This is the perfect award for any baseball participant.